This move in ready townhome is what you've been waiting for. The sunny open floor plan includes an updated kitchen with stainless steel appliances, granite tile countertops, new light fixtures & new interior paint. The three bedrooms include new flooring & paint throughout & a fully remodeled bathroom on the lower level. 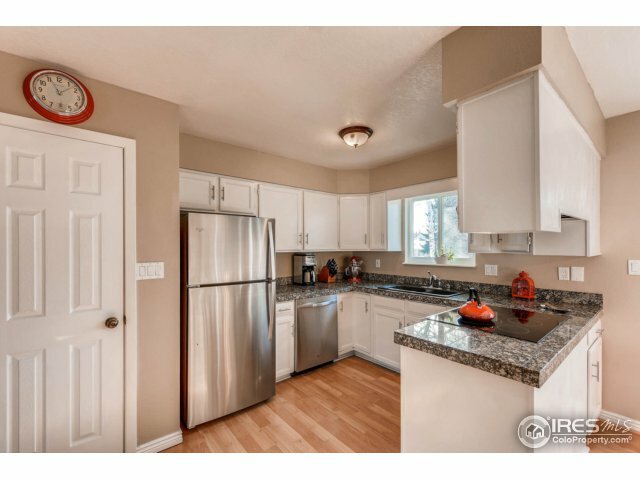 Enjoy the private fenced backyard with a refinished deck & new landscaping as well as a 2 car detached garage. Walking distance to parks, schools, golf course, shops & trails. Driving Directions: From Arapahoe - turn south on 55th, west on White Pl, property is on right. Walk around buildings to get to garage and front door access.